Nong Khai province has reported a sudden rise in the level of the Mekong River with concerns it will continue to escalate. 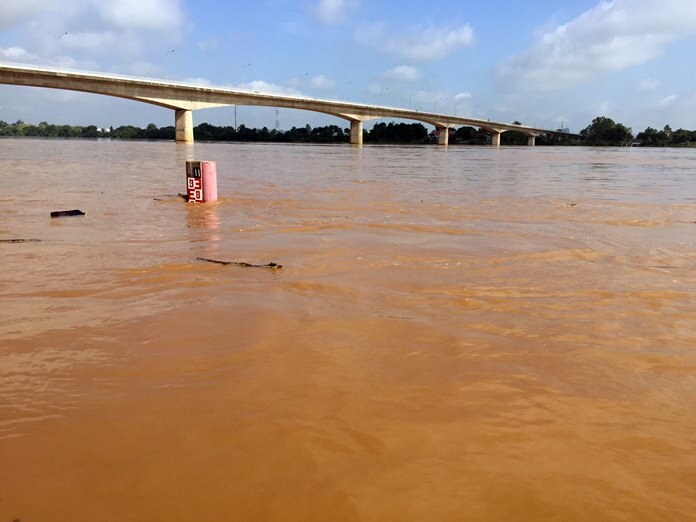 The Nong Khai water monitoring office under the Department of Water Resources has reported the latest height of the Mekong River at 8 meters and 63 centimeters, up by over 1 meter from the same time on Wednesday and only 3.57 meters below its flood barriers. With indications that waters in Chiang Kan of Loei province to the north have already risen 83 centimeters in one day, authorities are fearful that Nong Khai’s river levels will reach critical heights. The monitoring office has called for close watch over the next 24 hours. Authorities have also inspected the readiness of the province’s 14 water pumps installed along the Mekong River in anticipation of flash flooding. With more rains forecasted during this period, the office has decided to go on high alert.